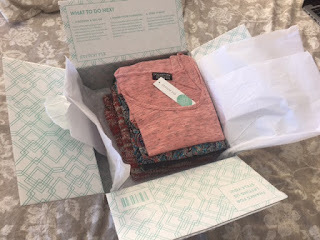 This was my 4th box from Stitch Fix, and it's my favorite one yet! I was very intentional about scheduling this fix. In my "notes" to the stylist I let her know that I wanted clothes that would be great for right after the birth and be nursing friendly. 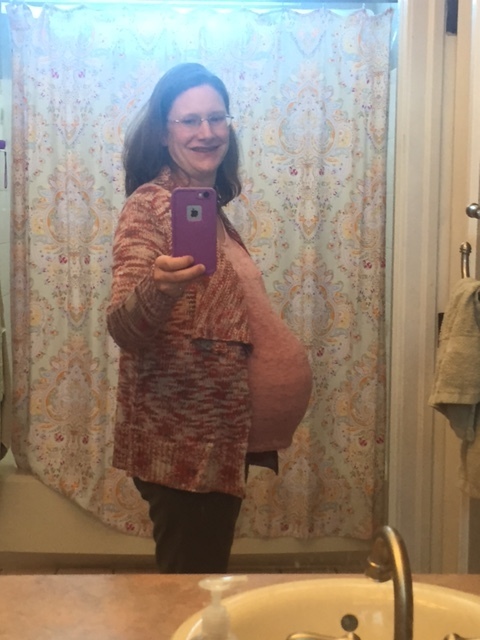 I wanted items that would help hide my postpartum belly and look "springy" while still warm enough for our cold Colorado weather. As soon as I opened the box I could tell that she'd listened to me and I was so excited to start trying on clothes! The pink top and cardigan were in colors and styles I'd requested. 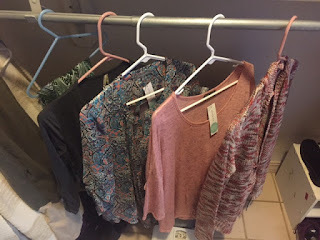 The top will be great for spring and summer while the cardigan will keep me warmer while we're still in the cooler temps. The cardigan will also be great pared with the top for nursing as it will help provide a bit of extra cover and privacy. Right now I can just get the top over my belly, so I can't wear it, but I know I'm going to love being able to wear it right after baby is born. It's always nice to have something pretty to wear right away. This one is my favorite. I'd requested more of a "romantic" look and this is what was sent to fill that request. The top is in colors I'd requested and while the cut does accomedate my belly now it'll be perfect all through the spring and summer for hiding my mamma tummy and nursing the baby (while not looking like I'm wearing a maternity top). I also love that the stylist pointed out that the tops she picked would look good with the pants I'd kept from my last fix. I'd have figured it out eventually, but I appreciated the thoughtfulness. I ended up keeping all 5 pieces. I normally would not have, but I knew I was going to keep the 3 I loved. The grey top was questionable and at first I'd decided to send it back. Over the next few hours I keep thinking about it though and pulling it out. There is a 25% discount for keeping all 5 items, plus I had credits making it cheaper to keep all 5 once I decided to keep the 4th item. I'm thankful for a husband that is so sweet and encouraged me to keep them all. Now they are all hanging in my closet waiting to be worn. Ah, more practice in patience. 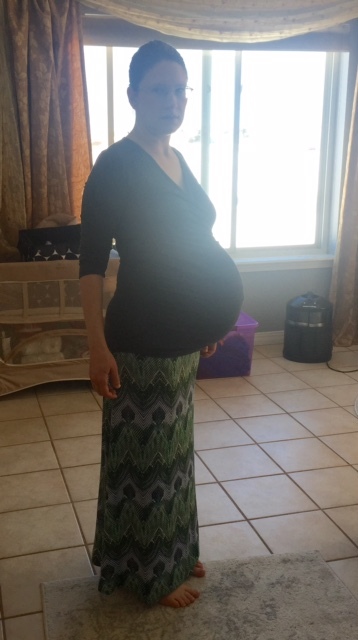 You know, 'cause waiting for baby to arrive is not practice enough.